Dutch Customs Blocks Delivery Of 90,000 Bottle Of Vodka To North Korea The booze bust in Rotterdam comes on the eve of Kim Jong Un's meeting with President Trump in Vietnam and is a breach of U.N. sanctions banning the export of luxury goods to the communist country. North Korean leader Kim Jong Un in Vietnam on Tuesday ahead of his meeting with President Trump. Dutch customs officials say they seized 90,000 bottles of Russian vodka en route to the communist country. Such exports are prohibited under U.N sanctions. Dutch customs officials have intercepted thousands of bottles of Russian vodka they say were destined for North Korea's ruling elite, including Kim Jong Un and top military leaders, according to a Dutch investigation. The prohibited-booze bust in Rotterdam comes on the eve of Kim Jong Un's two-day meeting with President Trump in the Vietnamese capital of Hanoi. The shipping container holding 90,000 bottles of Stolbovaya vodka was discovered on Friday, concealed beneath an aircraft fuselage being shipped inside a Chinese freighter, authorities told Dutch newspaper, Algemeen Dagblad. The ship, called Nebula, had originated in Russia, had stopped in Hamburg, and was about a day away from Rotterdam, one of the world's largest ports. Paperwork pertaining to the container's circuitous route indicated its final destination was supposed to be China, but authorities, alerted by a computer program, suspected it was really meant to reach Pyongyang in North Korea, and flagged it for inspection. "We do not want to release more information than necessary about our control strategy," Arno Kooij, director of risk management for the Customs Administration, told the paper. "But what I can tell you is that, based on the information available, we suspected that this particular container was subject to the sanctions regime for North Korea." U.N. sanctions, in place for more than a decade, have outlawed exports of luxury goods to the communist country in an attempt to force it to cease nuclear testing and abandon its missile program. "The United Nations Security Council has imposed clear sanctions on North Korea, and it is important to maintain them," Sigrid Kaag, minister of Foreign Trade said, adding that the agency was "entirely justified" in confiscating the vodka. 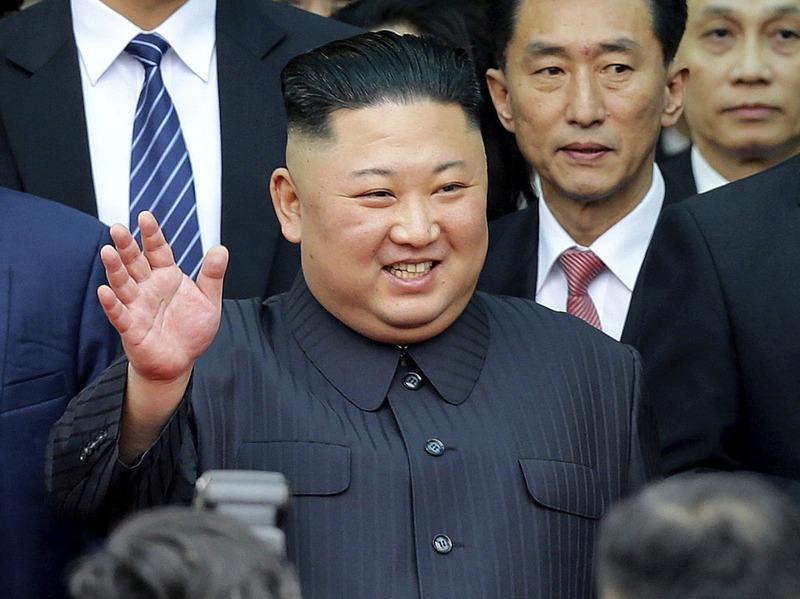 Kim Jong Un, who spent at least some of his formative years in Switzerland, has repeatedly flouted the sanctions laws and consistently devised methods to circumvent the worldwide ban, according to reports. Last year, South Korean lawmaker Yoon Sang-hyun estimated the North Korean leader had imported about $640 million worth of luxury goods from China alone in 2017. He also accused that country, as well as Russia, of loosening enforcement sanctions in recent years. "Kim has bought lavish items from China and other places like a seaplane for not only his own family, and also expensive musical instruments, high-quality TVs, sedans, liquor, watches and fur as gifts for the elites who prop up his regime," Yoon said in a statement, Reuters reported. Based on Yoon's data, Kim spent about $35 million on liquor in the same year. As for the general population of North Korea, people live on limited food rations and experience widespread malnourishment. As NPR's Paul Chisolm reported, agricultural scientists believe the country is unable to feed all its citizens. Additionally, a "2017 report by the Food and Agricultural Organization of the United Nations (FAO), two out of every five North Koreans are undernourished, meaning their calorie consumption doesn't meet healthy thresholds — for example, 1,080 calories per day for children under 5, and 2,900 calories per day for women who are pregnant or nursing."